Most people avoid starting yoga because they are afraid of looking ridiculous; they're afraid they'll be a spectacle. We promise you- you won't be. With time, yoga teaches us how to tune into ourselves more fully, and to get better at tuning out judgments from others- which are almost always perceived and not actually real anyway. Arrive 10-15 minutes early to meet the teacher and get settled. You can pay $10 for a single class or buy the beginner pass- $25 for 5 classes (cash or check only). Bring a yoga mat if you like or borrow one of ours. Find a place in the room that feels good and wait in a comfortable pose for class to begin. You can rest whenever you need to and pace the class to your own needs. 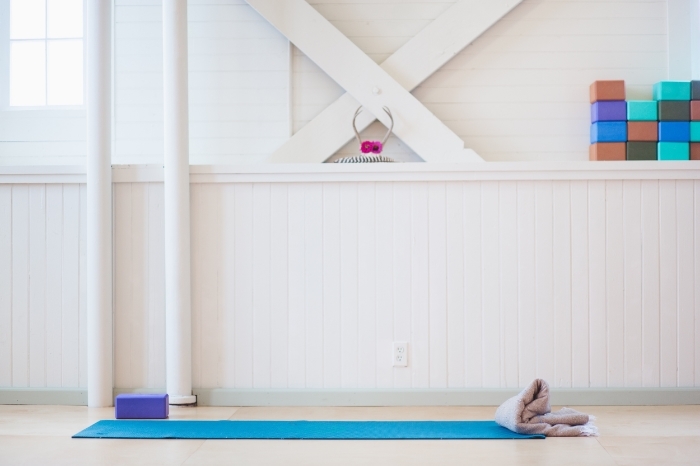 If you'd like a more thorough introduction to yoga you can sign up to do one of our beginning classes that we offer periodically. You can also schedule a private session with a teacher to help personalize the practice for your body. Email us if you'd like to learn more about private sessions or when the next beginning series will begin: toshayoga@gmail.com.